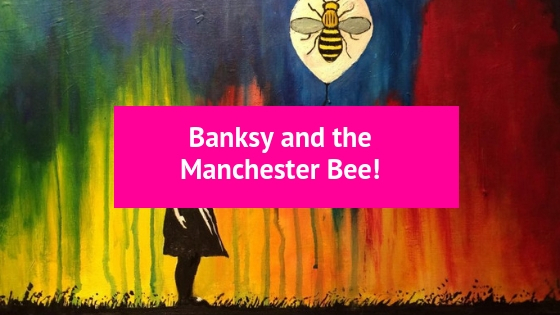 Home / Blog / blog, promotion / 2018 / September / Manchester Bee with inspiration from Banksy! Banksy’s Girl with the Balloon and the Manchester Bee! 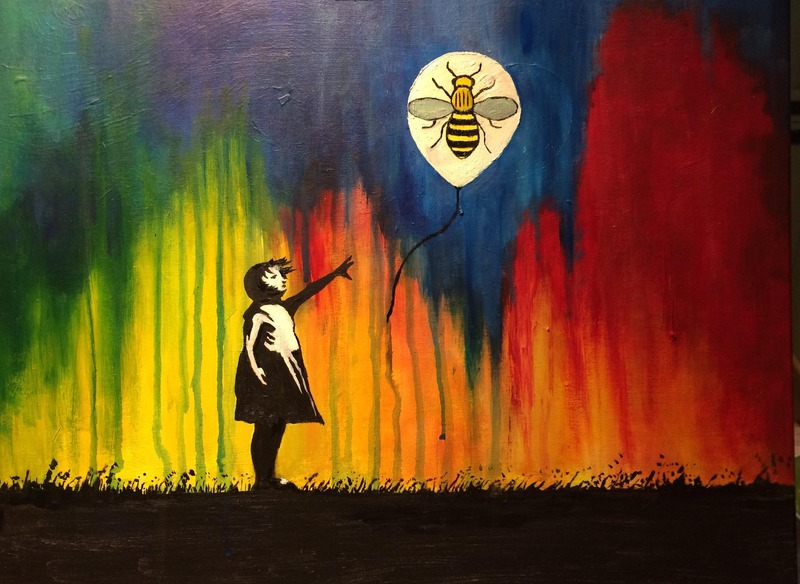 Michelle Shore, one of our Machester based artists and team member, has created a fabulous painting based around ‘Balloon Girl’ and the Bee in Manchester. Read on to hear about what Michelle thinks about each of those topics. The girl with the balloon is one of Banksy’s best known artworks. 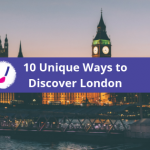 The orginal 2002 mural at London’s Southbank showed a girl letting go of a red heart shaped balloon, captioned with the words “there is always hope”. The balloon has been said to symbolise hope, dreams, innocence and happiness. Is the girl trying to retrieve the balloon, or is she letting it go? Does the image represent a loss of hope and love, or trying to reach out for it? I’ve always read this image as in letting go of the balloon the girl is putting her hopes and dreams out there, having faith that the wind will take them. Anyone living in Manchester knows the Manchester Bee as one of the city’s most famous symbols, which is visible almost everywhere, from lampposts to large graffiti murals. It was adopted as a motif for Manchester during the Industrial Revolution at a time when Manchester was taking a leading role in new forms of mass production, and symbolises Mancunians’ hard work during this era and the city being a hive of activity in the 19th century. It’s seen as a symbol of unity and working hard together. Personally I love this symbol and am proud of my adopted city. So why put these 2 symbols together and create this painting? For me, capturing the bee in the balloon is all about ambitions for the future, of standing and working together to give hope to the next generation. Put those dreams out there and let them fly! That’s my interpretation anyway. What is yours? You can have a lot of fun creating this painting, particularly with the colourful background which gives you the opportunity to let go and play with the paint, mixing and combining colours and consistencies to create your own atmosphere, or feel, to your image. As with any of our painting classes, it’s all about what you create, putting your own unique stamp on it. And one thing you can be sure of: you will surprise yourself. 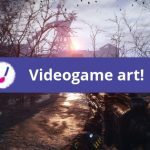 I hope that you enjoy painting this as much as I did. Feeling inspired to create the Manchester Bee vs Banksy piece. Come and give it a go!